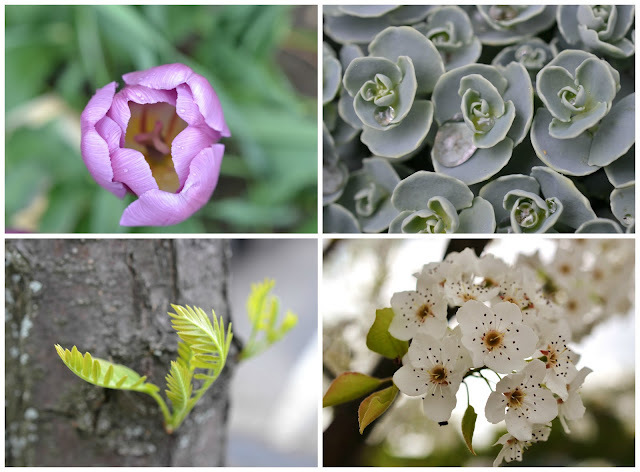 The world’s favorite season is the spring. | Life. Realized. Have you ever been to a New England May Day celebration? 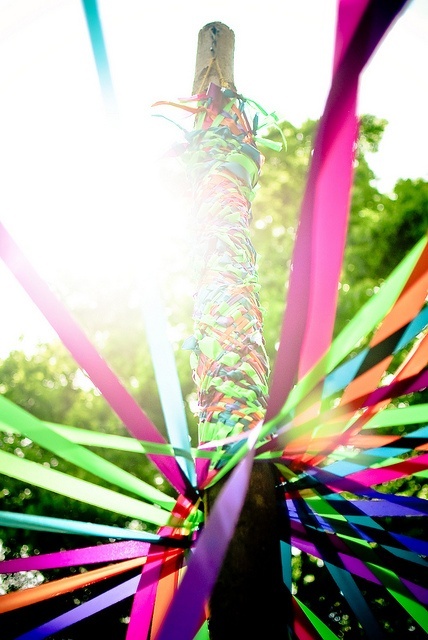 Upon moving here a few years ago, we became acquainted with said festivities and their accompanying maypole dance for the first time. Do other regions of the U.S. do this? Our local community farm has a maypole that symbolizes the spring planting season and stays up all summer. Last week, Kiddo's school had their annual May Day concert. They sang spring-themed songs. Afterward, we gathered outside and watched a little maypole celebration. It really is something special. I wish I could give you the what's what on this tradition, but the historical origins seemed to be debated. Still, it's a lovely way to connect with nature, embrace the changing season, and see the kiddos perform. Afterward, the families gathered for some sweet treats. 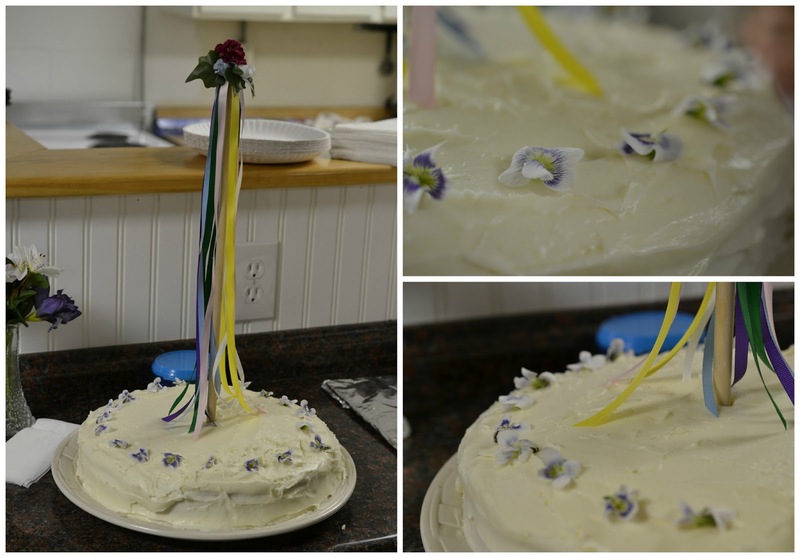 Including this darling maypole cake complete with edible flowers. Our resident supermom, Angy, whipped this up. You know that one special mom who seems to balance anything and everything beautifully? That's her. And she has two more kiddos than I do. Amazing. Awesome pictures, by the way. And that cake is too freaking cool. I hope so! Oh, and I definitely will! Oh, I'd love a May Day celebration! Look at that cake!! Very pretty! That May Day celebration sounds absolutely amazing! !